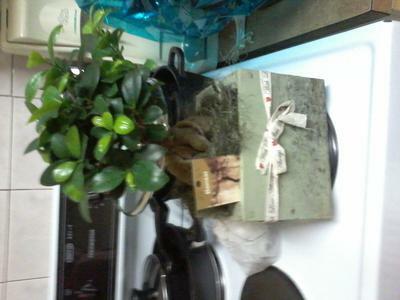 My birthday just passed and I got this bonsai tree as persent. I always wanted one!! I am not sure what tree it is, (I think wild fig) so if you can tell me, it would be great. 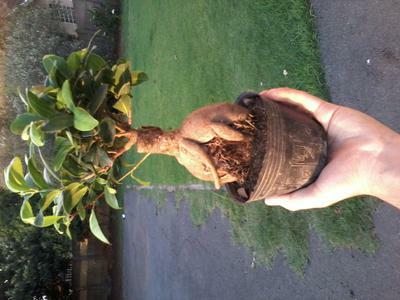 I am still looking for a nice suitable pot for the tree. Also I need ideas on how to grow this one. Which styles and so on? I thought of growing the 2 roots over a rock maybe with a twist or 2. 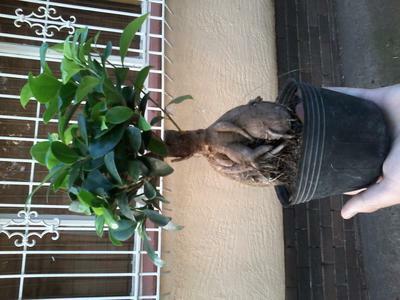 I actually live in South Africa, but I love this site and I love reading about the different bonsai's and ways to care and style them. 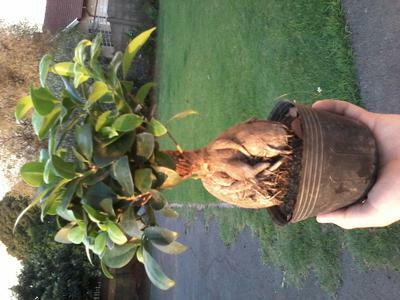 Please tell me what you think of my first little bonsai.